Salt water pools can be the cleanest experience of swimming pool enjoyment through ultra efficient bacteria management. The secret to a clean salt pool is a salt water chlorination cell. This in-line device helps keep your swimming pool clean by turning salt into chlorine. This product is what actually kills the bacteria and algae that can accumulate in a pool. It is important to keep the surfaces on your chlorinator cleans as this surface is what keeps the chlorine flowing. 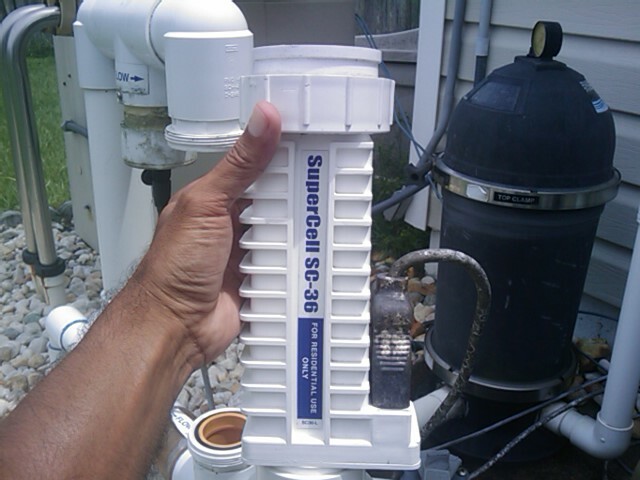 To keep your pool looking beautiful all season long you must clean your salt chlorination cell on a quarterly basis. As the system turns salt into chlorine, deposits of impure salt will form like calcium on the cells grids, causing the chlorination to be less effective and extremely energy inefficient. And these deposits will eventually destroy your chlorinator all together. How do you make sure your salt chlorinator lasts 7,10, and 15 years? 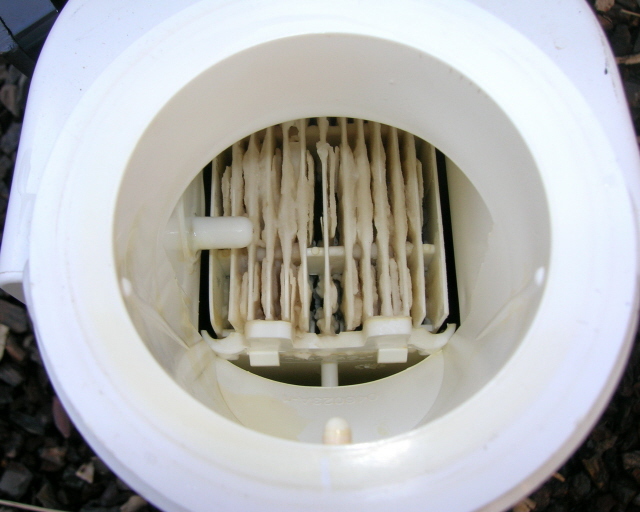 Its simple; A Salt Cell Maintenance Service is essential to keep your cell in good condition. This is done by cleaning the salt cell every quarter for the entire life of the cell. This is done by simply “dipping” your cell in an acidic solutions (our mix is available for purchase). Then rinsing and repeating up to 5 times. This will slowly remove and loosen the buildup to allow for clean and clear plate control. Do not hesitate to give us a call and we will perform this service to get your salt cell back to producing at 100% efficiency. Sometimes in the same day!